Children can walk out the door and play: friends are close by and play spaces are visible from homes, like the good ol’ days! “You hear a lot of partners including myself lamenting that kids now are overscheduled and that there is no longer an opportunity for kids to just walk out the door and play outdoors among neighbors. People want their kids to be free range, but there is also a lot of fear because we don’t know our neighbors the way we used to. Please tell us a little about yourself and your family. 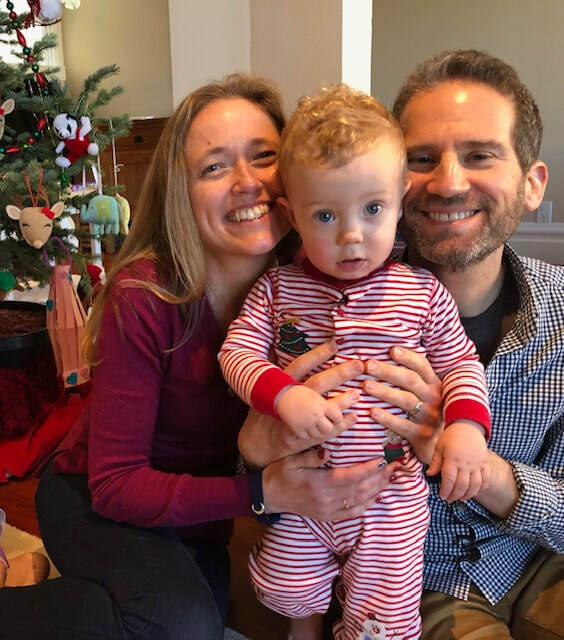 We are a family of three: my husband, Mitch, our one year-old son, Ben, and me, Krista. I am originally from Miami, Fl, and my husband is from a small town outside of Cleveland, OH. We met and married in San Francisco, and we both love living in the Bay Area. We especially enjoy being in nature and try to go hiking as much as we can. We particularly love the Pt. Reyes/Nicasio valley areas, and we are excited that Novato is close! What are a few of the things you are most looking forward to about living in cohousing? We look forward to planting vegetables in the community garden and sharing with neighbors, community meals (and not having to make our dinner every night! ), becoming friends with people in the community, having other children and elders be a part of our everyday lives, and growing as individuals from the experience of community building and shared decision making. When did you become a member of the C-Street community, and what has your experience been so far? We joined as members in the spring of 2018, and we were welcomed so warmly! Everyone in the group is respectful and brings so much to the project. It feels really neat to be a part of the building/planning process, and we have enjoyed getting to know everyone through the calls, meetings, and social events. Please tell us a little about yourself and your family. My name is Cat and I live with my daughter Lila, who is in the second grade. I'm an extroverted introvert and my daughter is an introverted, secret-extrovert. I work in finance and love learning new ideas (ie. psychology, philosophy) and trying my hand at self-sufficiency skills like worm bins and soap making. My daughter loves animals, making art, and games involving chasing or jumping on Mom. When did you first learn about cohousing and what draws you to it? I have wanted to live in community since my 20s and did manage to live in a co-op in the East Bay for 5 years which I loved. I only left because I couldn't imagine having an infant and sharing a bathroom with 9 people. Cohousing is the best of all possible worlds - your own house to keep to your own neatness standards (or lack thereof) and a whole community committed to enjoying life together and supporting each other. What are a few of the things you are most looking forward to about living in cohousing? Despite having wonderful neighbors where we currently live - everyone is just so gosh darn busy. We manage to get together with neighbors for meals every 3 to 6 months and we are always craving more but lack skills at making social interactions happen in a way that doesn't feel overly planned or like work. 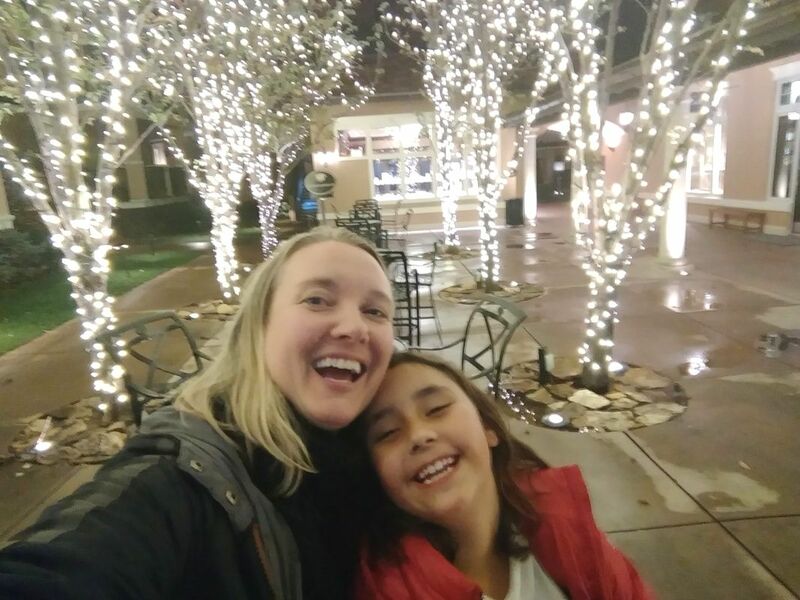 As a single mom with a single active daughter, we both crave time with people our own age to chat with and play with that take us out of our own heads and break up the Mom/daughter dynamic. I look forward to meals cooked by the community when I come home from work bone tired and fun playmates for my daughter when she is bored with boring old Mom. When did you become a member of the C-Street community, and what has your experience been so far? I joined C Street Village in the summer of 2017 after witnessing authentic people with the perfect set of skills to get this project completed. I've really enjoyed meeting people with an intention to live in community. It's hard to put into words, but there is a real warmth and acceptance that feels true and good. Recent news articles have certainly pointed out some great benefits. Everything from play dates without driving, to eyes on the sidewalks where kids from multiple families can play, to promoting active lifestyles at a young age. Cover image: Nevada City Cohousing Picnic, Architecture by McCamant & Durrett Architects.